Samsung couldn’t have scripted the last month and a half any worse. Shortly after launching its new Galaxy Note 7 smartphone in August, Samsung delayed further shipments and ultimately issued an official recall with help from the US Consumer Product Safety Commission on September 15 due to faulty batteries that could overheat and catch fire. 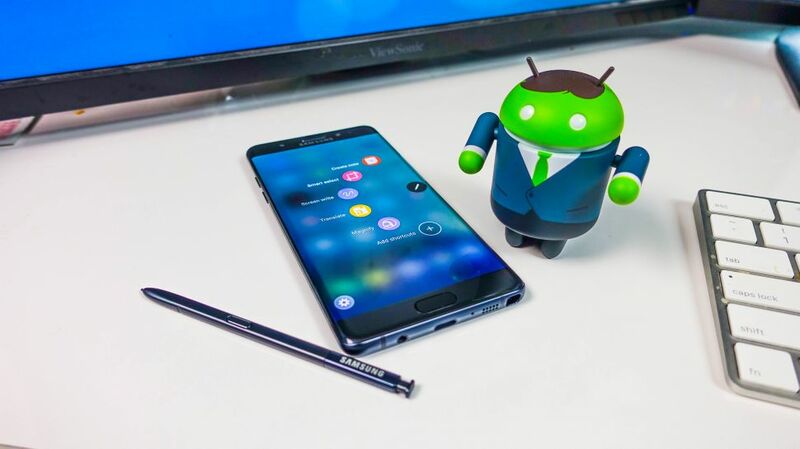 The South Korean electronics giant asked buyers to return their original Galaxy Note 7 handset in exchange for one with a battery deemed safe for use. It wasn’t long before reports began to surface that replacement handsets were also catching fire. The US Consumer Product Safety Commission on Thursday once again recalled the Galaxy Note 7 just a couple of days after Samsung permanently halted production, closing the door on what was likely Samsung’s best smartphone to date. It’s an unprecedented and unfortunate mishap no matter how you slice it. For Samsung and its shareholders, it’s a sobering setback considering the company had just got its smartphone business back on track following a rocky patch during the Galaxy S5 era and was in an excellent position to compete against other flagship smartphones this holiday season. The Galaxy Note 7 received rave reviews and was even recognized as having the best display ever on a mobile device from DisplayMate. It’s also hard not to feel bad for the unlucky consumers that suffered property loss or sustained injuries as a result of devices catching fire. Some may even view it as a black eye for the mobile industry as a whole, especially as sales of smartphones continue to slow due to both saturation and stalled innovation. So, where does that leave us today? The US Consumer Product Safety Commission says there have been 96 reports of batteries overheating in the US alone including 23 since the September 15 recall announcement. Samsung received 13 reports of burns and 47 reports of property damage associated with the Galaxy Note 7. First things first – if you have a Galaxy Note 7, discontinue use and turn it in immediately. Continuing to use the phone not only puts you and your family at risk for harm, but others as well. What if you live in an apartment complex and the Note 7 you refused to give up catches fire and kills someone? Do you really want that on your conscious (not to mention the possible legal ramifications)? What’s more, now that Samsung has recalled the smartphone, how do you expect to get updates for it in the future short of jailbreaking it? Seriously, don’t risk it. Galaxy Note 7 owners that elect to exchange the device for another Samsung smartphone can receive up to a $100 bill credit from select carrier and retail outlets. Those that have already done so are eligible to receive up to a $75 bill credit in addition to the $25 previously received. Optionally, you can choose to exchange your Galaxy Note 7 for another brand of smartphone or get a full refund. Either way, you’ll still receive a $25 credit for your troubles. More information on the refund and exchange process can be found by visiting Samsung’s website. The recall was initially expected to cost Samsung as much as $1 billion but in the wake of the second recall and production stoppage, that figure has swelled to at least $2.3 billion based on a recent regulatory filing. Far more worrisome, however, could be the damage done to the company’s reputation. In a recent survey of 1,000 Samsung customers, Branding Brand found that 34 percent said they would not purchase another smartphone from the brand. With the Galaxy Note 7 sidelined, one has to wonder if Samsung is making plans to expedite the arrival of the Galaxy S8 or if the company is content to stick to precedent and hold it back until Q1 2017. I suspect there’s simply not enough time to get the Galaxy S8 to market for the holidays but moving its launch up a month or two into the January – February window certainly seems plausible, all things considered.